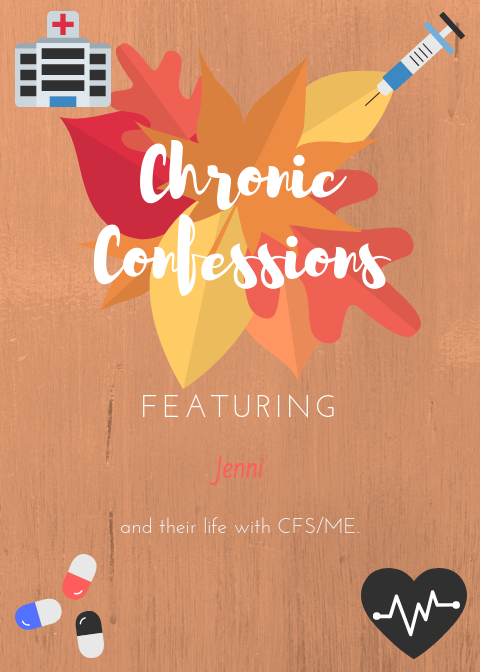 It’s Chronic Confessions time again and today we have Jenni of Gluten And Me talking about her life with Chronic Fatigue Syndrome/ME. Jenni wanted to stay faceless so todays post will be a lot more word focused but I’ll throw in a few pictures for good measure. Hope you enjoy! Tell us a bit about yourself and interests! I’m from Oxfordshire, am 18 years old and have just finished my A levels. Hobbies that I enjoy are dressage. I’ve been horse riding since the age of 5 and absolutely love it! Unfortunately, I cannot ride as much as I want as a result of my CFS. I’m also a member of Young Farmers and enjoy the activities and people I meet through this organization. I also help on our family farm and own my own sheep! I am also a gluten free blogger as I also have coeliac disease. What is your diagnosis/condition(s) and what was the process of it? 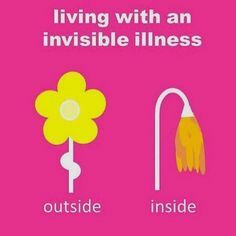 I have coeliac disease as well as chronic fatigue syndrome. In 2014, I became very unwell and was vomiting multiple times a day, was bed bound and exhausted constantly. After two years, I was diagnosed with coeliac disease after undergoing lots of tests – ultrasounds to rule out masses in my stomach, barium swallow & x-ray to make sure I didn’t have any blockages, a brain MRI scan to ensure my brain was functioning normally and an endoscopy to rule out stomach cancer and eventually diagnose coeliac disease. I then completed my GCSEs and started my A levels that September. I felt a lot better but was still exhausted. My GP gave me vitamin D tablets and told me that should solve my issues. Unfortunately, it didn’t! During my A level exams April/May 2018, my GP suspected I had chronic fatigue syndrome so I was referred to a specialist. In September 2018, it was confirmed I have chronic fatigue syndrome. How long did the diagnosis take and at what age did you receive it? Looking back now, I have had symptoms for years! But it impacted my life the most since 2014 – diagnosis took 4 years and I was diagnosed at the age of 18. What were your initial feelings following diagnosis? I was relieved that there was a name and a reason for how I was feeling, however, it was also very disheartening as there is no cure and I just have to manage it. Do you believe you have any other undiagnosed conditions? I still have some health issues so it is a possibility that I have undiagnosed conditions. What are the symptoms of your condition(s) and to what extent do they affect your everyday life? My main symptoms are extreme exhaustion and heavy / sore legs. It is said that you can describe the feeling of CFS as it feels like your worst hangover and the worst flu at the same time. I also have other more minor symptoms such as sensitivity to heat, pins & needles in my arms and legs, headaches, dry throat, sleep disturbance and struggling to fall asleep. I also don’t feel refreshed when I wake up. I often feel dizzy when I stand, have stomach sensitivities, have an alcohol intolerance, and have stomach cramps after eating when I am at my worst. I get freezing hands & feet and struggle with brain fog. I can get heavy eyes and struggle with bright lights. I don’t get all of these symptoms all of the time, but I have learnt to live with them and adapt to cope. If I don’t manage my condition correctly I can experience a ‘crash’ where I’m bed bound and am very badly affected by my symptoms. However, if managed correctly the symptoms are minimal and have less of an impact. Although, I do adapt my life to live with my symptoms, for example, I have to plan activity and ensure I have rest days in between to allow for recovery; I don’t go out a lot and have had to give up going to the gym, doing netball and working on the farm a lot. Is there a cause for your condition(s) or is it currently unknown? It is suspected it is triggered as a result of a stress. The suspect my stress was the prolonged illness as a result of my undiagnosed coeliac disease at the time. Have you had to undergo any difficult procedures or surgery and has it helped? I had to undergo the testing process for my coeliac disease – ultrasound, barium swallow & x-ray, brain MRI scan and an endoscopy. These were difficult to have to go through but I knew in the long run it was for a benefit. Are there any known triggers that set off a flare or make your condition(s) worse? Activity makes my condition worse. I have to limit everything I do and ensure I have plenty of rests. Would you say you have a good support network and a designated person/team to help you with your condition(s)? My family and friends are amazing!! They don’t all understand it but do try their best. How would you say your condition(s) has affected the relationships in your life? It has made it harder to meet new people and to sustain relationships as my activity has to be limited. At the age of 18, I cannot always do what typical 18 year olds do! Would you say it has affected your goals in life? If yes, in what way? Definitely! I started a full-time apprenticeship this September but had to resign after only two weeks as a result of ill health. I experienced a crash and had some of the worse symptoms I have ever had. I was bed bound for around 9 days. I knew I would never be able to manage at university so that’s why I went down the apprenticeship route. Would you say it has negatively affected your mental health? If yes, how has your experience been with that? It is a struggle and at times it definitely gets you down but I’ve learnt that being negative about it doesn’t achieve anything so I try to be as positive as possible! What lifestyle changes have you and people around you had to make to accommodate your condition(s)? I have had to go out less, go riding less, give up the gym and not work on the farm as much. I’ve also had to change my job and whole career plan, as well as ensuring I am socializing as it can be difficult especially when my friends are all at university. I also have to plan to go out for a walk everyday to help build myself up and ensuring I am getting out the house. My parents are also financially supporting me at the moment which I am VERY grateful for. Is there anything else about yourself or your chronic condition(s) that you want people to know? I want people to know that it is a life-long condition that we have no real control over. We aren’t being lazy or bringing ourselves down, we’re just ill. No matter how hard we try and manage our condition, sometimes it just doesn’t work. Do you have any advice for newly diagnosed people with your condition(s) or a long-term illness? Try and be as positive as possible, I know it is tough! Lastly, tell us something positive that keeps you going. A quote, a song, anything! 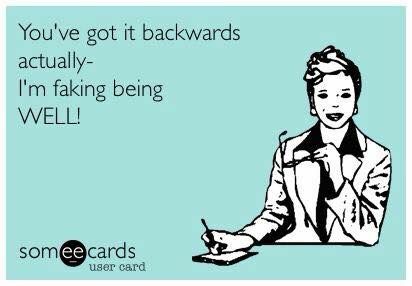 It could be worse! I’m alive, I’m talking, it could be worse! Such a huge thank you to Jenni for sharing the story of her journey with us today! Here are a few social media links for her if you’d like to connect or follow her elsewhere! Twitter / Instagram / Facebook. You can check out the last instalment of Chronic Confessions here and if you’d like to share your story and take part in the series, pop me an email on blacktulipbeauty@gmail.com and I can send you over the questions. "Fashion Trends I Have Never Understood!" My friend suffers with CFS so I have a bit of knowledge on it already. I admire anyone like Jenni and my friend as it can be so debilitating. Well done to Jenni for being as positive about it as she can. It’s just a shame that it took so long to be diagnosed!